wow! this card is so beautiful. Just like a dreamy painting, totally love it. I'm a huge fan of your gorgeous work. Your card is gorgeous!! Thanks so much for sharing it with everyone at the Casual Fridays Challenge! This is absolutely gorgeous!! LOVE that scene you created!! Absolutely beautiful! I love all your cards! Gorgeous card! 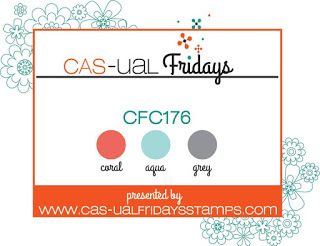 Thanks for playing along with CAS-ual Fridays!